Jim Campbell’s new installation at St. Paul’s Union Depot, 8 1/2 x 11, commissioned by Northern Lights, is now up! 8 1/2 x 11 joins Daily tous les jours‘ Amateur Intelligence Radio in the Waiting Room to complete the Interactive Multimedia Artwork Platform. 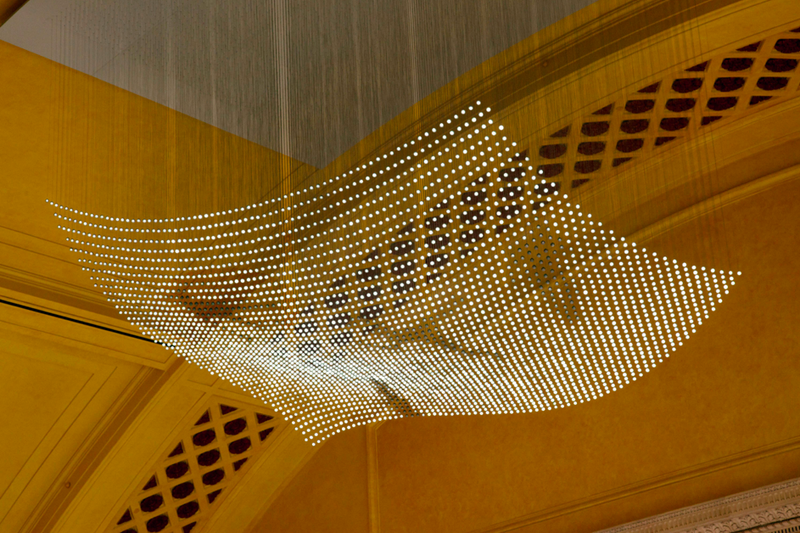 This light sculpture features an array of LEDs hanging from the ceiling of the Waiting Room, which display dynamic figures floating across the sculpture. Take some time to hang out at Union Depot and watch this mesmerizing work.